You have two kidneys, each about the size of a fist, located near the middle of your back just below the rib cage. 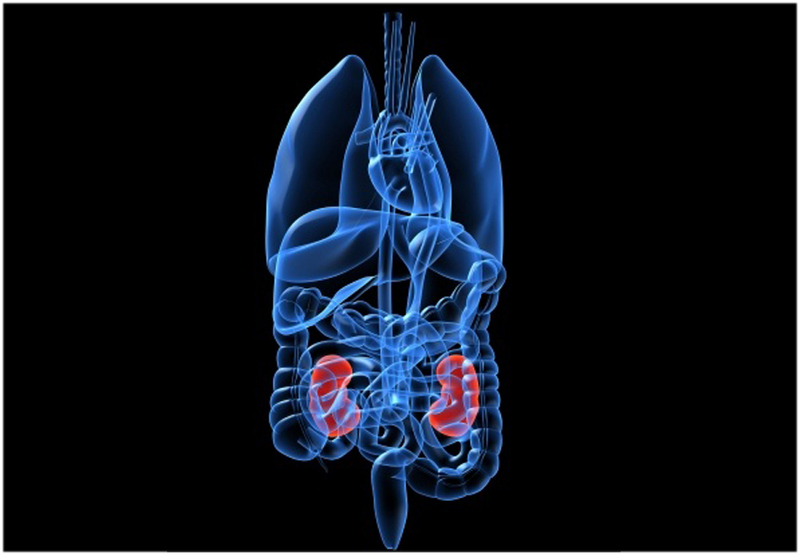 The kidneys are intricate filters, eliminating waste products and excess water from the blood while holding on to certain vital proteins. It is very important for them to function effectively. Diabetes is the leading cause of kidney failure because of the tendency for all the blood vessels in the body to weaken and the membrane walls to become weak and porous. Further progression can lead to uremia and kidney failure, which can be treated only by dialysis or kidney transplants. The wait time to find a kidney donor is approximately 5 years. Just another reason to save your kidneys! Get a hold of your blood sugar and learn to control it.